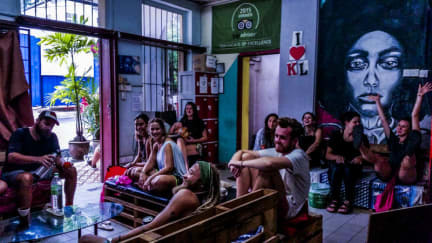 Step Inn Guest House and Hostel, Kuala Lumpur, Malezja : Rezerwuj teraz! 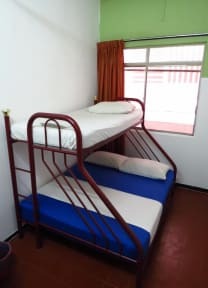 Nice, well located, cheap hostel. This was the cheapest hostel I've stayed in so far. The staff was also pretty much nice and helpful. Yes, its cheap and the room was big enough...but not worth the price. There are mushies on the pillows sheets fan and walls bathroom in the private room! Roundworms walking in the room i got pills in hospital for it. . Very dirt! Next Time i would rather pay a little bit more and dont Risk any medical issues. the first hostel in my 14 years hostel career with sad Atmosphere in it:( the surroundings gets a little bit noisy recently due to works on the road. But still the location is perfect.